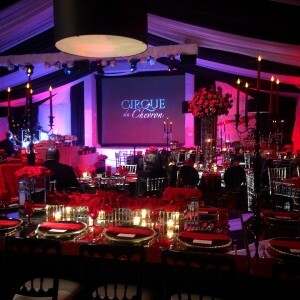 Cirque du Chevron from AVS Films on Vimeo. 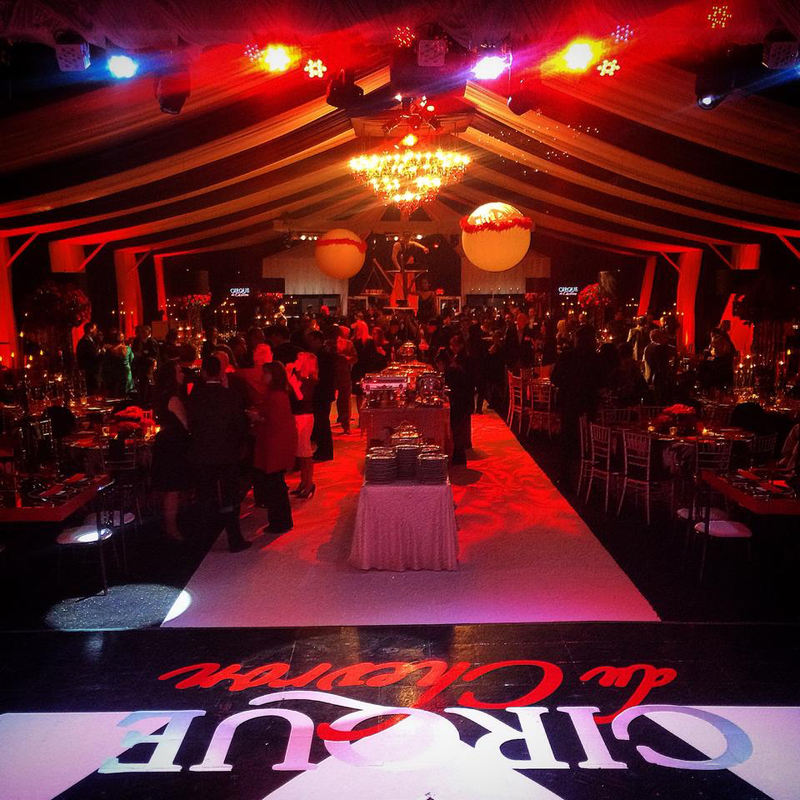 The Chevron First Oil Celebration was held on February 7, 2015 at Discovery Green Park in Houston, Texas. 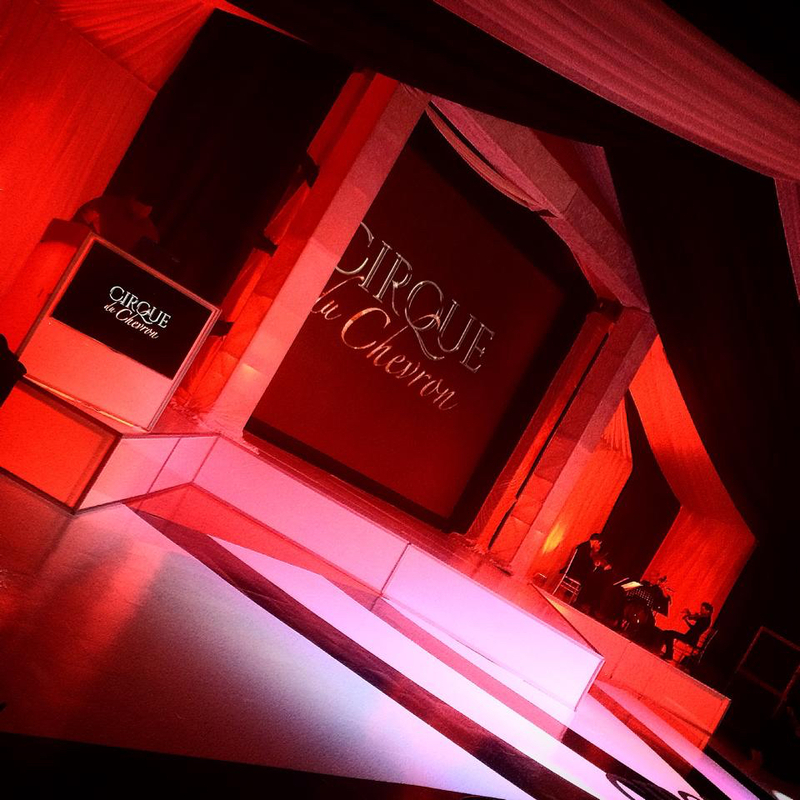 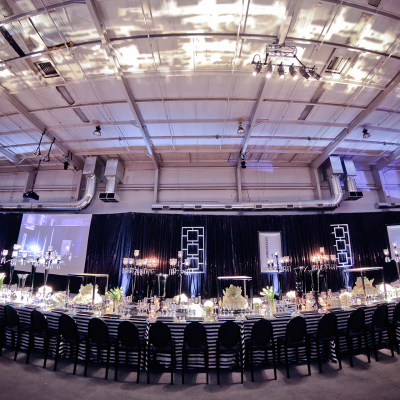 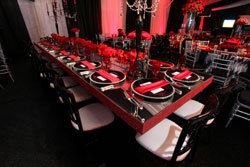 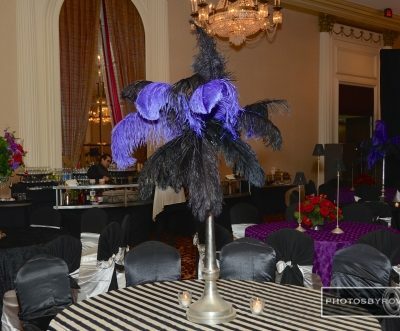 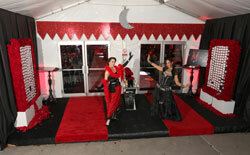 The event’s color scheme was red, white and black with luscious linens and stunning centerpieces. 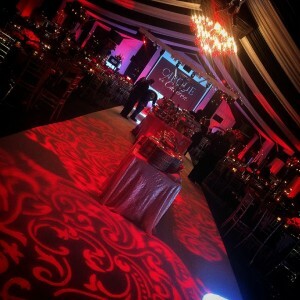 Upon receiving their name tags from a wall of roses , the guests entered the gorgeous draped tent. 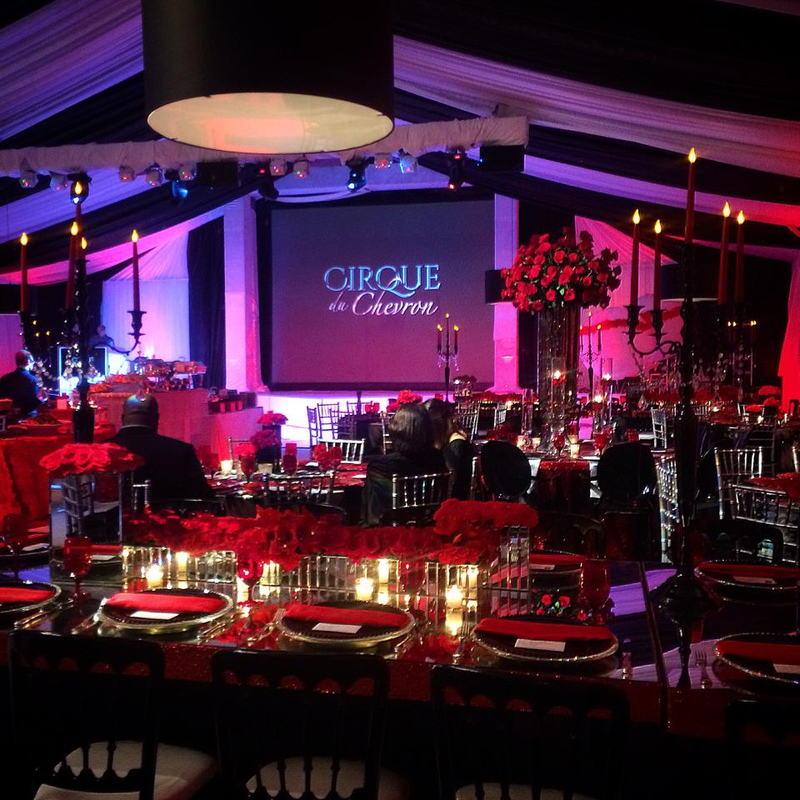 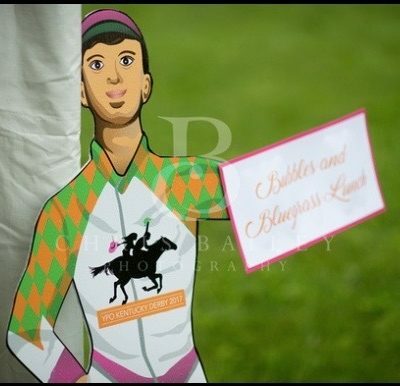 The entertainment was over-the-top; from the hostesses, to the cirque performers atop custom-made props, to the sword swallower , to the aerial animation talent, the guests were constantly wowed. 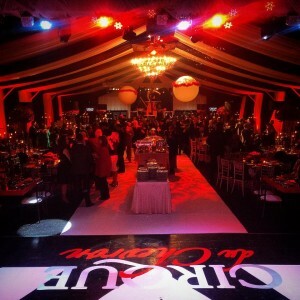 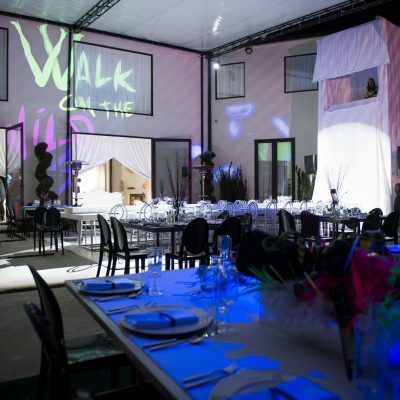 Carefully designed food and beverage selections rounded out the amazing under the big top event.